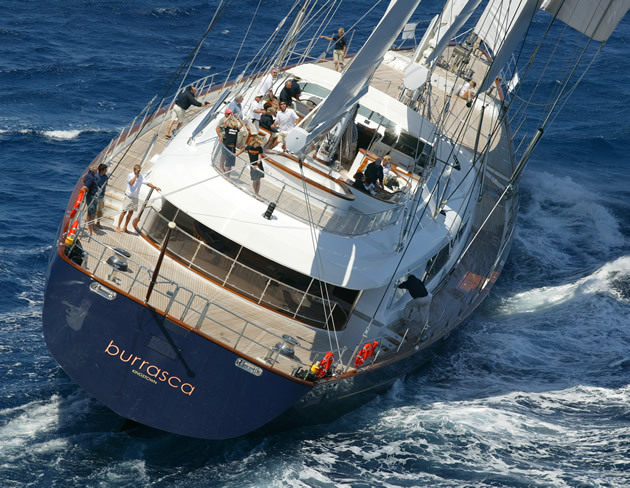 Marine Results is just about to complete the first part of a major service on the two masts of the sailing superyacht Burrasca. The work, carried out in early 2014 involved pulling out the masts for the first time since the yacht was commissioned in 2003. The standing rigging was serviced to OEM guidelines, while a full service of mast fixtures and fittings was carried out along with the survey of all running rigging. The team also carried out a full service on the hydraulic cylinders and furlers associated with the standing rigging. Built by Perini Navi, the 56 metre (184 foot) luxury ketch was in Valencia, Spain when the team from Marine Results carried out the service work. The Marine Results team will return to Valencia in May 2014 to restep the rig ready for sailing.